The Nationals didn’t need this home run to win yesterday or anything, but number 34 for Bryce Harper came off Manny Banuelos, and it was impressive because it was a finesse swing off a slider. 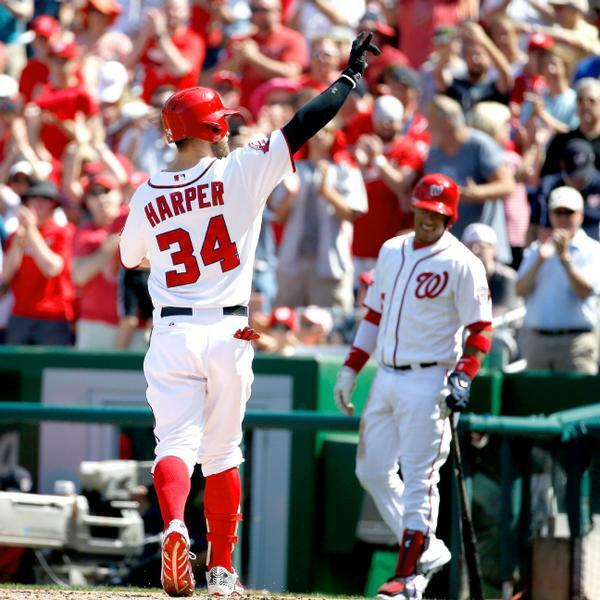 The Nationals swept the Braves out of town with an 8-4 win, and moved within four games of the Mets in the NL East. As we were saying, he homered all weekend. Bryce Harper is heating up at the right time, and he’s got an outside shot at 40 home runs if he stays this hot. It’s going to be more fun to watch the pennant race in this division though starting with today’s game.